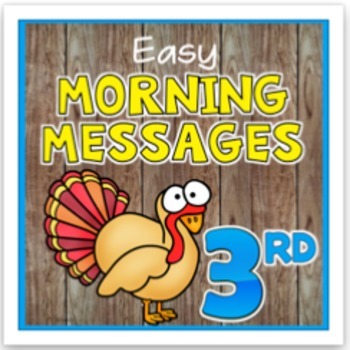 November Morning messages for third grade are perfect for morning work. 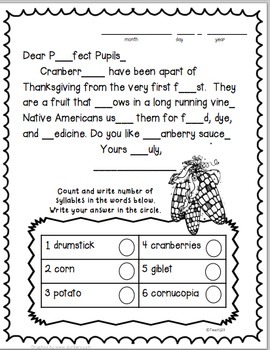 Ten November morning messages with the following themes:Thanksgiving, Native Americans, Mayflower, Pilgrims, turkey, Veterans Day, and Hanukkah. These work great for emergency sub plans or those days when you get pulled from class for a last minute meeting. 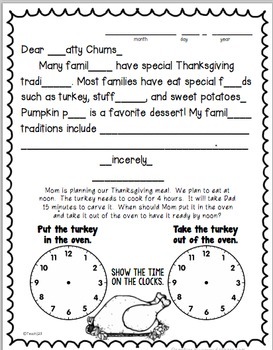 Answers are included so you could also set this up as a self-checking writing center.